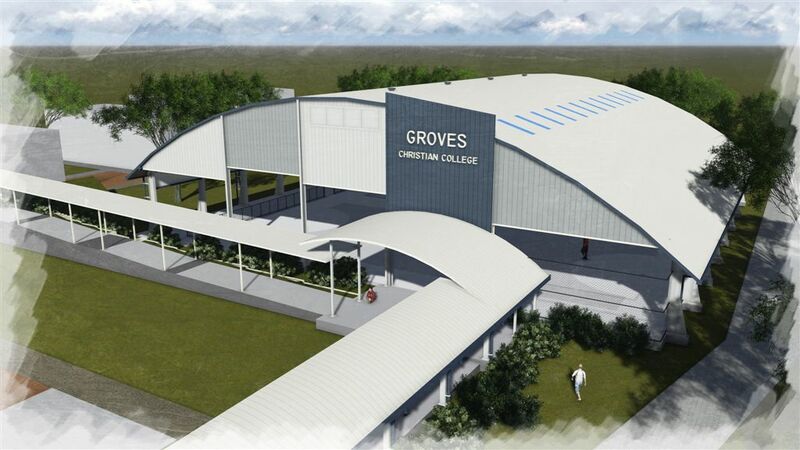 Spantech was contracted to construct a sports centre that featured a covered double basketball court cover at Groves Christian College, Kingston, Qld. 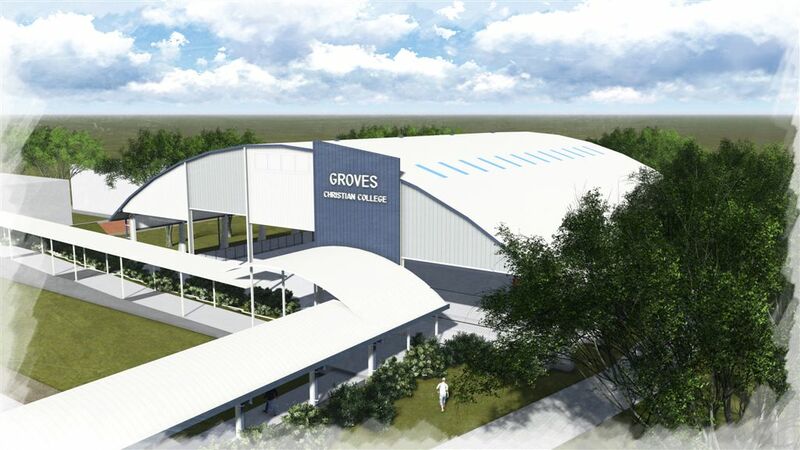 The Sports Centre has been named the Sports Dome. 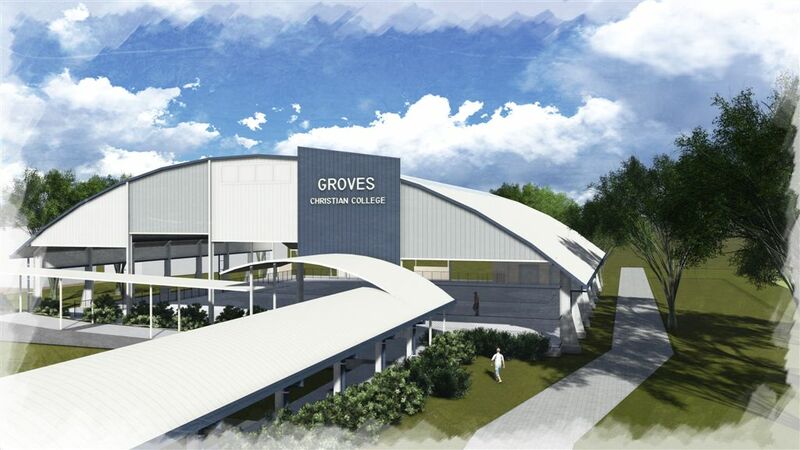 The facility includes two multi-purpose courts catering for basketball, netball and volleyball. Basketball backboards are mounted from the ceiling saving space and setup time. The courts are separated by a retractable dividing net supplied and installed by Grandslam. A 2mm thick Rebound Ace Pro Sports Floor and line marking was also included to finish building. 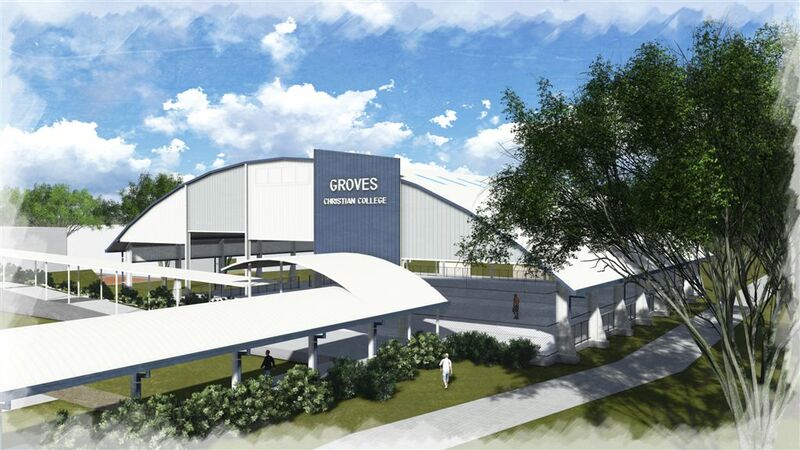 A large annex roof on two sides of the building provides a shaded lunch area for up to 300 students. The annex roof also covers a storage room that is large enough to store all of the sports equipment that will be used in the facility. The multi-coloured end walls are lined internally with a thermal and acoustic wall cladding to help minimise the reverberation within the facility. 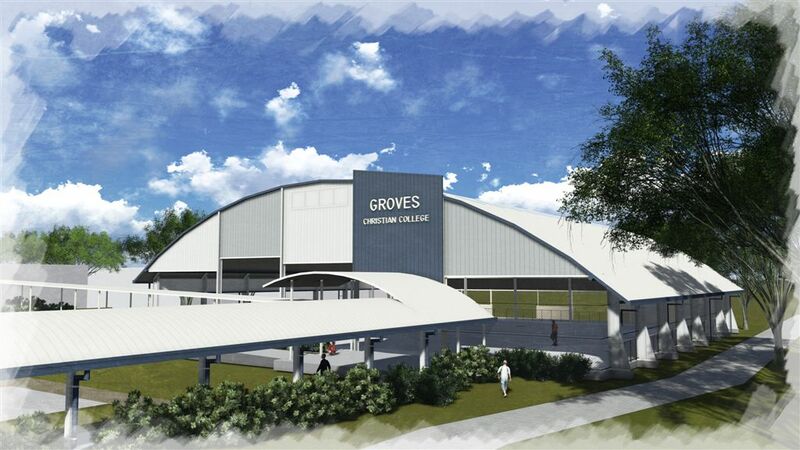 The design includes a series of curved roofed and flat roofed covered walkways linking the facility to the other school buildings and the bus parking area.